Various Artists - Shaolin Soul Episode 3. Vinyl LP. Bleep. 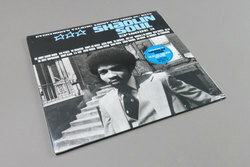 Shaolin Soul is a three (soon four)-volume compilation of music sampled by the Wu-Tang Clan, and their various solo albums. The samples are principally for the tracks produced by RZA, and as such, largely cover the earlier years of their career.